Last weekend we had an absolutely smashing Achtung! Cabaret event. We broke a new record for both attendance and performances, and a fantastic time was had all around. 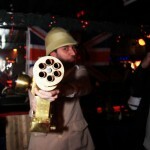 The steampunk and absinthe theme was a hit, and amazing costumes and outfits abounded. Of course, on the internet the saying goes “pics or it didn’t happen”, so without further ado, here are the photo galleries by our official photographers, Al Pulford and Zoe Noir. Click on a thumbnail above to go to the full gallery. The first row goes to Al’s pictures, and the second to Zoe’s. You are currently browsing the Achtung! Cabaret blog archives for December, 2011.